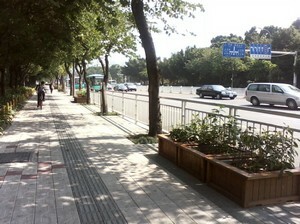 Shenzhen - The China Taichi Guide is a Directory of Tai Chi Schools & Tai Chi Teachers in China. 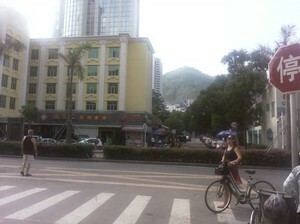 Shenzhen is a modern city! 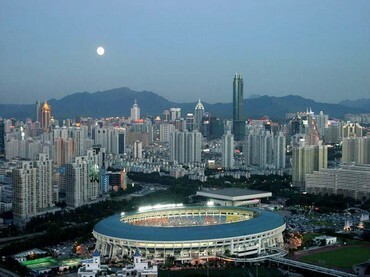 Shenzhen is one of the economic power house cities of Guangdong province next to Hong Kong. It has grown in scale at an unbelievable rate over the past 25 years, from humble beginnings as a simple village area to one of the most populated cities on the planet. This pace hasn't left a lot of scope for great planning but in recent times many areas seem to be improving as it attempts to emulate its more mature neighbour Hong Kong. Certainly the development of the subway system has made things easier to get around and the quality of the green spaces seems to be improving. The city has always been more expensive than much of the rest of China, so the reason most non-Chinese will be living there will be because they have work or other commitments. 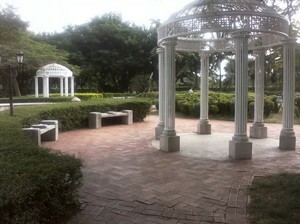 It seems an unlikely destination to head for, for Tai Chi unless one is planning to take a work opportunity on offer. Having said that though, wages can be good for many jobs including English teaching and this could be an attraction alongside learning Tai Chi with a good teacher. As with most other large cities in China, there will be many good teachers around the Shenzhen area, it takes local knowledge and time to find them and so I would be grateful for participation by people on the China Tai Chi Association forums. Chen Jun is a Chen Style Tai Chi teacher in the Shenzhen area who speaks English fluently and is used to teaching non-Chinese students. 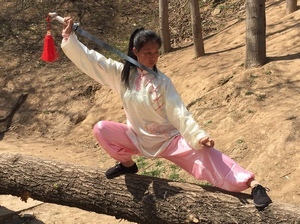 She would be a good person to learn with as a beginnner new to Chen Style Tai Chi and as a practitioner with an intermediate to higher level Chen background. The China Taichi Guide : An Introduction to Shenzhen. Shenzhen is one of the economic power house cities of Southern China but is still a place where you can find good Tai Chi in China. The China Tai Chi Guide is a directory of Tai Chi Schools and Teachers in China.